OVPN.se needs some infrastructure improvement. 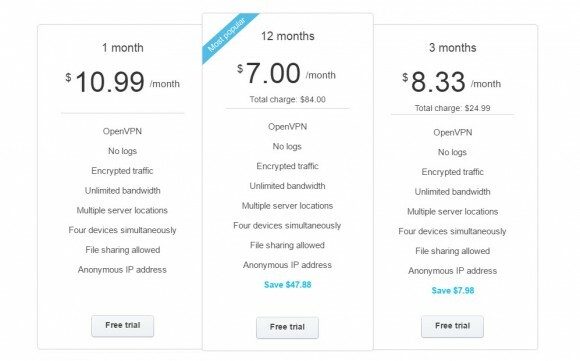 Their software has some issues and there is no mobile application, but if these aspects are improved, it could easily be one of the stronger VPN providers. OVPN.se is owned and operated by OVPN Integritet AB, based in Sweden, Danderyd, just north of Stockholm. 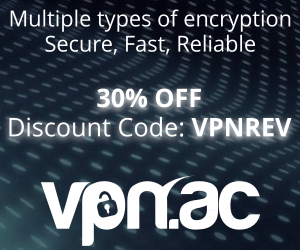 The VPN service was officially launched in the summer of 2014, and they take great pride in the fact that they remain fully functional under Swedish jurisdiction as opposed to some competitors that move their operations to fiscal paradises and operate under shady jurisdictions. 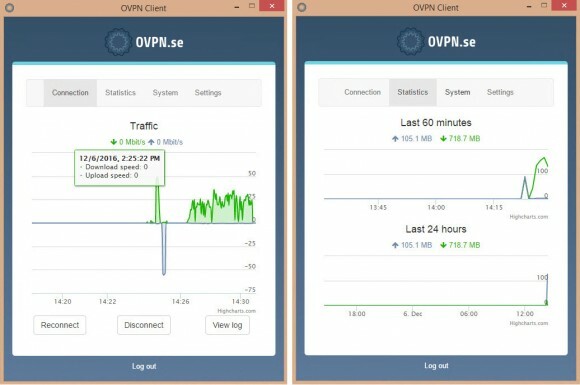 OVPN.se claims that they do not log any activity from the customers while connected to the service. That means that in the event of a court order they would not have any information to provide to the law-enforcement entities. The only information they would be able to provide is the method of payment. This means that your privacy would eventually be protected depending on the method of payment you choose and how secure it is. They do not use Google Analytics or any third party systems that track user behavior. 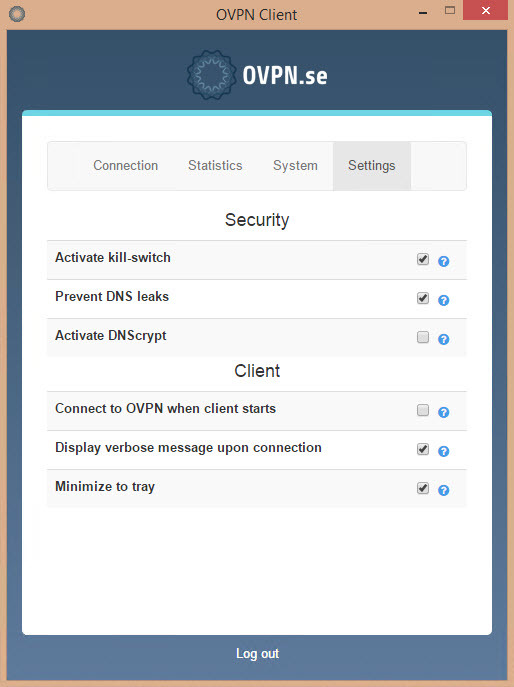 They use Piwik, an open source solution hosted by themselves which automatically truncate the two last bytes in your IP address in order to keep you hidden and secure, even from OVPN.se. OVPN.se uses proprietary software for Windows, Mac and Ubuntu. Other platforms are supported via via configuration files that can be used with various OpenVPN solutions. For a full list of supported platforms, you can check out their setup guide page here. The problem with these settings is that they do not get saved automatically and when used improperly, they can cause your computer to lose internet connectivity. The settings get reset every time you disconnect from the software, and we noticed that if we logged out without initially disconnecting, we would lose internet connectivity altogether. This could be fixed by either re-setting the firewall settings to default (by using this guide) or by uninstalling OVPN.se’s application altogether. Depending on the level of knowledge that the user has when it comes to networking and software troubleshooting, this may become an issue. The software asks you to connect online first and doesn’t allow you to change those settings back if you are offline. This cannot be accomplished if you lose your internet connection as mentioned above and there is no offline prompt to explain how to resolve this issues. We addressed this issue to the customer support team and they stated that they are aware that the kill-switch feature can cause some issues if disconnected improperly, but that our internet connection should not have failed. Either way, we feel that it’s not in the best interest of the customer to be stuck without a connection, and to be dependent of another online device to search for solutions (provided that this is an option to begin with). They do not have a latency meter but they do have the option to connect to the fastest server in each country. Ultimately what this process does is test the connection speed and make sure that your VPN traffic is routed through their fastest server. Apart from the technical issues we encountered, we found OVPN.se’s software to be very intuitive, concise and even though it is a bit resource-heavy, it does the job. OVPN.se states that they offer over 30 server location in 4 countries: Sweden, Canada, Germany and the Netherlands. We weren’t able to find anything for Canada or Netherlands, and when asked, the support team stated that it is a work in progress and the two locations are being implemented as we speak. They gave us an ETA of about two days. After 3 weeks, we still couldn’t find those new locations available but only Sweden and Germany. All internet protocols, including file sharing and P2P are allowed. They do not offer PPTP as they consider it to be obsolete and that it provides very little security, which we found to be reasonable. They also state that “all servers operate without hard drives to guarantee that nothing is logged or stored” which is a good point from security and privacy perspective. These specs are pretty decent for the price and we thought it is worth mentioning. You can find more information about the offer here in case this is something you are interested in particular. Some of these features (if not all) can be found included automatically with other services, so we don’t feel that it’s necessarily a plus that these features are available at extra cost. Apart from that, we wanted to mention that the browsing experience was smooth, but the torrent download had quite a few spikes, so that may be something you want to keep in mind. The browsing experience was good, there were no disconnects or interruptions, and as far as the page-loading process goes, the speed was more than sufficient. We have to say that they are quite a bit on the pricey side of the market, considering the low number of server locations and the download speed in some cases. We do however feel that they are doing the right thing, approaching the scene correctly, just not with a one hundred percent efficiency. This may be due to infrastructure needs or just the growing of the service itself, and time will tell if they raise up to the standards in all aspects, not just some. There is a 5 hour free trial and we were told that there is no difference between the full service an the trial version as far as functionality goes. This should give you an opportunity to test the service out and see if it works out for you or not. Regarding the payment methods, OVPN.se accepts PayPal, credit cards, Swish, bitcoin and cash. 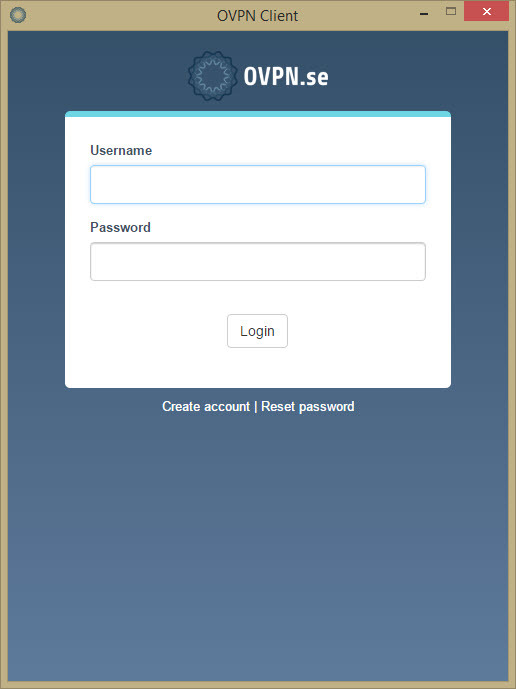 You can contact OVPN.se’s support team via an online form (or e-mail) or the online chat that is active 9:00-18:00 CET. They had a very good response time and regardless of how many attempts we made, they were responded promptly. 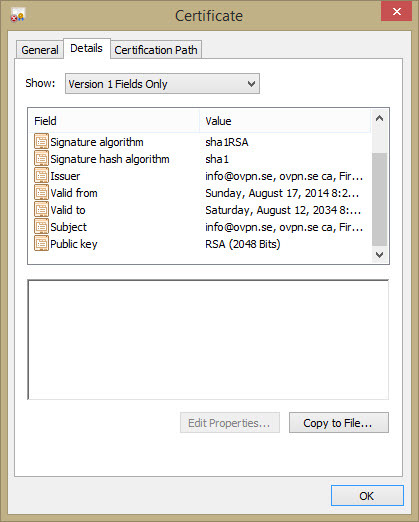 They also provide a PGP key so you can contact them by email, securely. The technical support we received was great, they were able to give us all the information needed, the representative was very knowledgeable, and even though there were some technical issues (which happens and we find it to be somewhat understandable), they were able to at least clear the situation for us. Transparent company, well presented and professional vibe sustained. Good and easy to use website (logically structured without ads, Google Analytics or unwanted tracking code). Great customer support, knowledgeable and helpful. Proxy and multi-hop available (although we would have liked to see them included, not as paid features). Free 5-hour trial for the fully-featured service. The software has a lot of issues and they are not trivial issues either. It can leave you hanging in the middle of the session if disconnected improperly. Not so good torrent download speeds. Too expensive for the features offered and issues encountered. Mobile performance was rather poor. Al things considered, we give OVPN.se a 6.5/10 which could easily go up considerably if they solve their software issues and expand their infrastructure. If these issues are being worked on as they claimed, our next review will find them in a better position than it has this time. They recently sent me an email announcing their new datacenters in LA and MIA. I live in NYC so even MIA was probably going to be too slow…… It was not! Download speed is great – one of the best I’ve seen. Unfortunately, if you game or torrent the ping times are bad due to the distance. My upload speed also took a “big” hit…..but the download is excellent. Perhaps this is only temporary until the MIA datacenter grows it’s user base – time will tell? Hopefully by they they’ll have a NY/NJ datacenter for me (hint-hint)…..